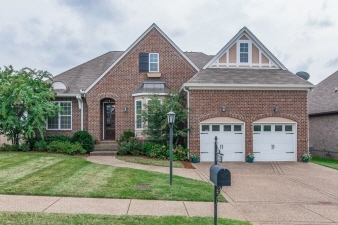 Beautiful Home in Hermitage TN 37076! Living is easy in this beautifully maintained home! The open floor plan encompasses 3 spacious bedrooms with plenty of room for sleep, storage & study, 2 full bathrooms & stylish kitchen w/ large island open to living & dining areas perfect for entertaining. Combined with a great outdoor space & neighborhood amenities—this is a home you don’t want to miss!! Neighborhood amenities include clubhouse, pool, playground, walking trail & underground utilities.